Where Starry Bear journeys from dusk till dawn. The above message, burnt into a panel of wood, was placed upon stone cairn gateways which we used throughout the weekend to enter our main ritual space. Such a poem is a fitting way to open a discussion about an experience that is difficult to convey with the written word. 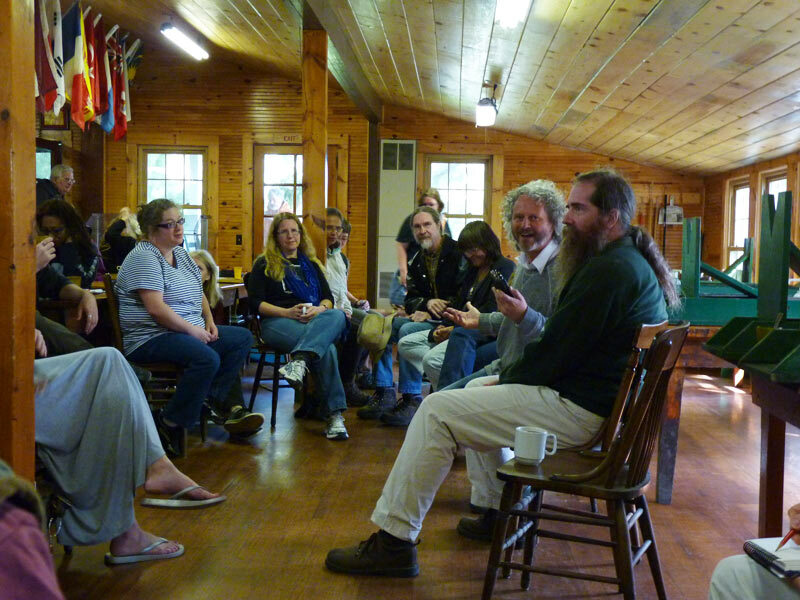 In Druidry, all good things come in threes, and the Order of Bards, Ovates and Druids (OBOD) East Coast Gathering‘s third year was no exception! From the north (Canada, Michigan) and the South (Alabama, North Carolina, Louisanna, Maryland) to the east (Vermont, New York) the West (California, Colorado) we came. From across the sea (United Kingdom, Netherlands) to just down the road (Pennsylvania), 103 druids, family, and friends gathered to celebrate and commune with one another and the living earth. Our gathering was nearly double the size it had been the two previous years; this was in no small part due to our special guests, Phillip and Stephanie Carr-Gomm (Chosen Chief and Scribe of the OBOD) and John Michael and Sara Greer (Grand Archdruid and Archdruid of Water in the Ancient Order of Druids in America, AODA). The spirits of Camp Netimus have always been welcoming to our camp; embracing us with open arms and whispering many tales of old in our ears. From the gentle knock of the acorns as they hit the earth (or a druid’s head) to the peaceful nature of the clearings and swaying grasses, we are bid welcome. 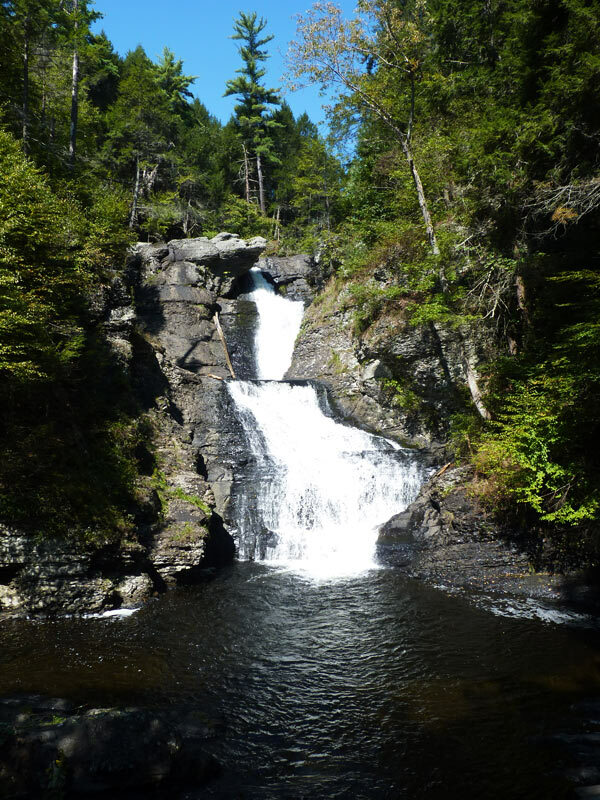 Several miles away, Ramondskill Falls is a majestic sight, a cascade of water dropping over 160 feet and surrounded by hemlocks, birches, gentle patches of wintergreen, and thousands of wild grape vines. During the gathering, carfulls of druids can be found making their way to the falls to bask in their majesty and commune with the spirits of the water. On the grounds of our camp, a moss-covered fairy pathway leads to a babbling brook deep within the trees. Moss-covered stones tell their tales of old as the fae folk frolic behind the underbrush. Hawks and turkey buzzards flew overhead, looking down upon our field. At night, the great bear of the starry heavens and a crescent sliver of a moon provided gentle light. A hidden circle, the storyteller circle, is a place alternatively filled with quietly meditating druids, initiation rituals, or enriching workshops. This year’s theme was “The Arts of the Seer” and many of our workshops and meditations focused centrally on that theme. John Beckett discussed responsibilities of seership, Dean Easton presented on the Cauldron of Rebirth, Will Melnyk presented on Ogham, and Wanda Stalbaum on basic grounding and protection. Each morning, Phillip Carr-Gomm walked us through a simple meditation that connected us in meaningful ways. Other workshops included mead making presented by Derek Batz and Richard Abbott. Two of our honored guests, Phillip and John Michael, gave a fascinating series of workshops and discussions. One highlight of the event was Phillip and John Michael’s open discussion of all things druidry, where they examined druidry’s legitimacy, history, the differences between US and UK political and social situations for practicing druids, and their experiences with running the two orders. Phillip recorded the talk and said that it would appear on a future episode of Druidcast (so keep an eye out for it–it was a fabulous talk!) Phillip also discussed philosophies on druidry and being in place and time in his address, while John Michael lead two fabulous discussions on Druid Body and Reclaiming Natural Science (which I will be posting more about in the future!). In addition to learning from each other, we also enjoyed ritual and festivities. 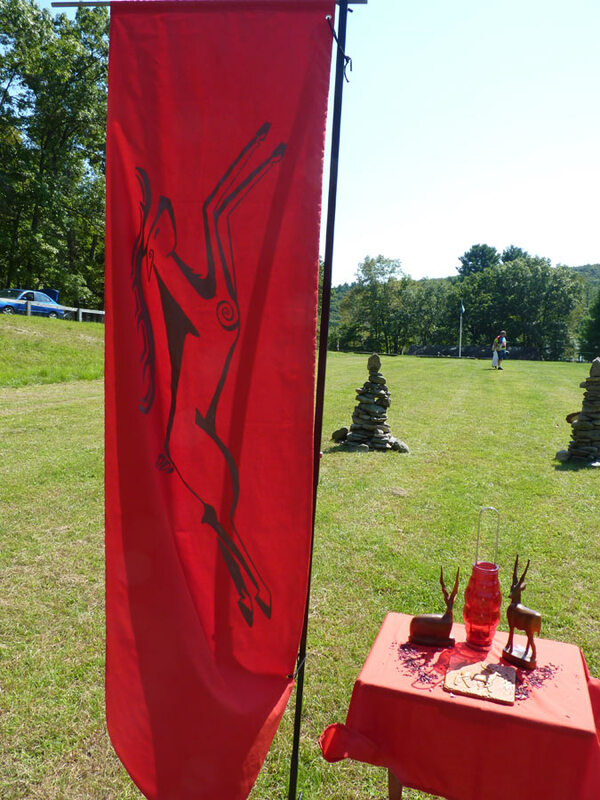 Our main Alban Elfed (Fall Equinox) ritual, which took place on Saturday, was a wonderful experience. The groves and seed groups brought their colorful banners, and we marched to the sound of flute, drum, and strings as we made our way to the ritual circle. As part of the ritual, each of the grades presented a gift. The bards gave the gift of dance and song, singing “”We are the Future, We are Inspired ones.We are the singers, we are the Song. We are spiraling into the center, the center of the Grove” as they danced the spiral dance in our circle. They also left us with inspirational messages for when we left the circle at the end of the ritual. The Ovates taught us about the hawk, the stag, and the oak, giving us many lessons from the natural world. The Druids gave us the gift of being still in the present place and time. It was moving ritual, and all felt blessed at its conclusion. This year was a big year for initiations, with 24 Bards, 7 Ovates, and 3 Druids undergoing initiation–this was our largest number by far! We welcome all of our new Bards to the order, and congratulate the Ovates, and Druids as they continue on their forest path. As I’ve written about in previous blog posts, an opportunity to be away from technology and simply enjoy each other’s presence and skill in the bardic arts is one of the most enriching things about the ECG. Our first two gatherings were times for us to connect, grow, and learn from each other. But this year something powerful and magical happened–we became a tribe. And as we said our closing words, swearing by peace and love to stand heart to heart and hand in hand, the chant worked its magic upon us. More than just friends or fellow druids, we developed a sense of kinship and family that transcends time and space. We became united. As we look forward to returning to Camp Netimus next year, those tribal bonds will keep us ever close as the days turn shorter and the long nights hold their sway once more. Hi. Thanks for posting this wonderful recap of OBOD East Coast. You have captured many of the same feelings I experienced as a participant and newly initiated bard. With your permission, I would like to post a link to your piece to our seed group’s (Oak and Eagle) private Facebook Page. Thanks again. Nicole, absolutely! Share the link :). Thanks for the comments! I know just what you mean about the heart-to-heart tribal magic. I just didn’t know how to explain it- but that’s part of the hard time that I had moving back to the US. After camp with the tribe there, it’s THAT. You’re linked to everyone else in the Order and it’s tangible on some level. Yes- THAT. So glad it happened at this gathering! Holy cows that’s a lot of initiations!! Going to keep an eye out for the Druidcast podcast- that sounds like a really interesting conversation. Great review, Dana. I enjoyed meeting and doing ritual with you and so many other folks. An inspiring and fun weekend! Thank you, Will! I very much enjoyed meeting you as well!